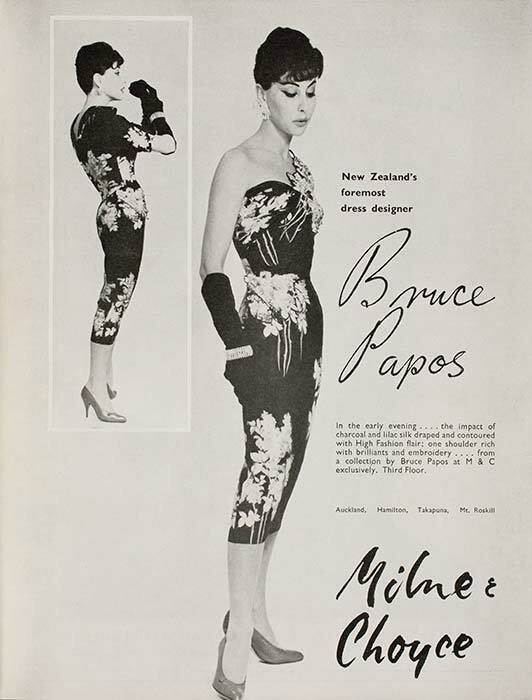 Bruce Papas began his fashion career at Auckland's exclusive Ninette Gowns and was later the lead designer. He became a designer for department store Milne & Choyce in 1958 and produced four or five collections a year until 1965. Securing Papas was a coup for Milne & Choyce, and he received full credit for his work. This dress is from his first collection and was advertised in Vogue New Zealand magazine. Papas opened his own store in 1965 and was in business until retiring in 1988.